When Rebecca called me up to tell me she was getting married I was so excited for her. Then she tells me that she always wanted me to be her Photographer and I couldn’t help but accept the honor with love. She is one of the sweetest there is. 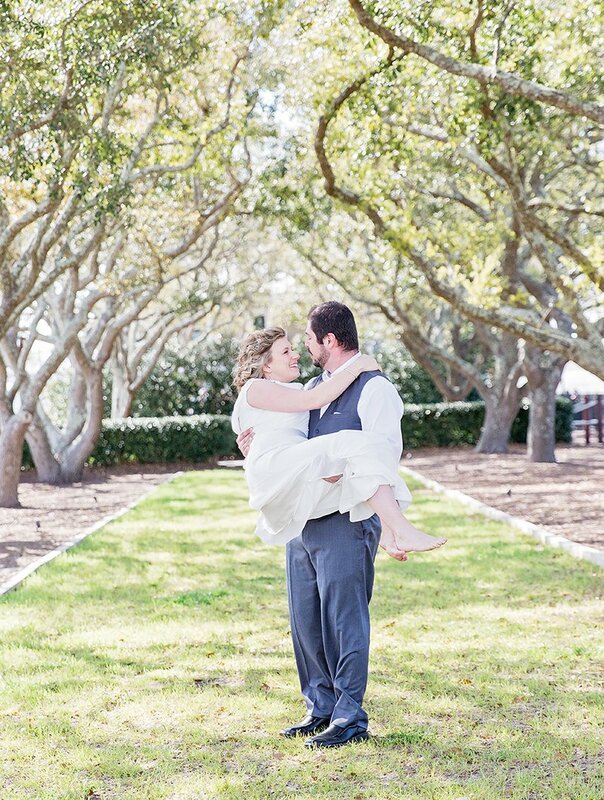 The charm of beachfront southern weddings make my heart skip a beat. 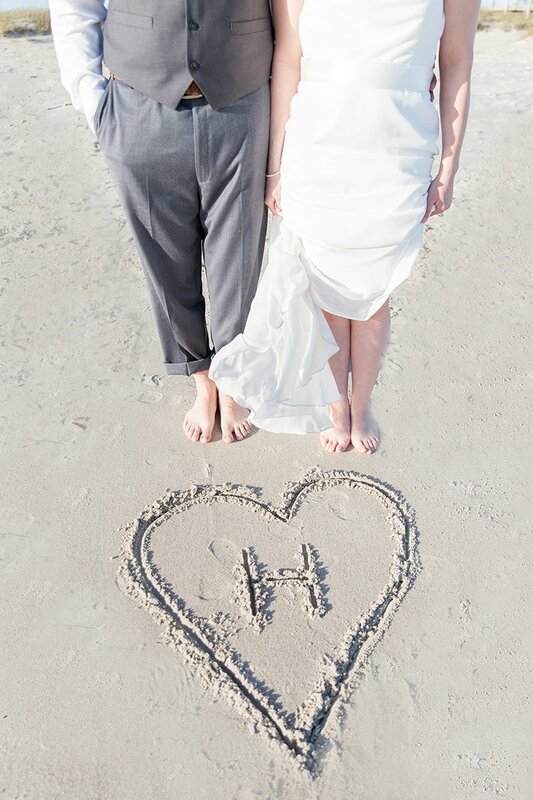 What a magical celebration as we traveled to the beaches of Southport, NC for the wedding of Rebecca + Mauricio. This spot is filled with beauty, history and southern charm. 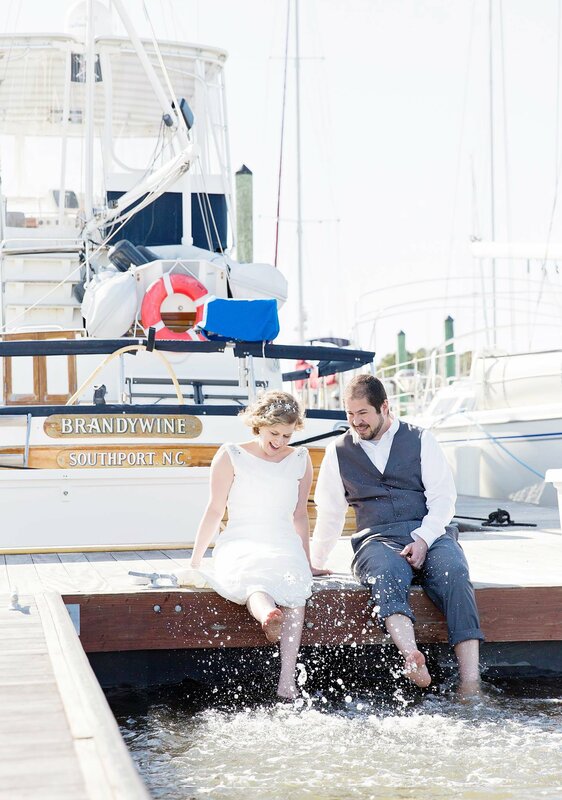 The sweet couple had their own private dock on the marsh overlooking the sea where their ceremony took place. 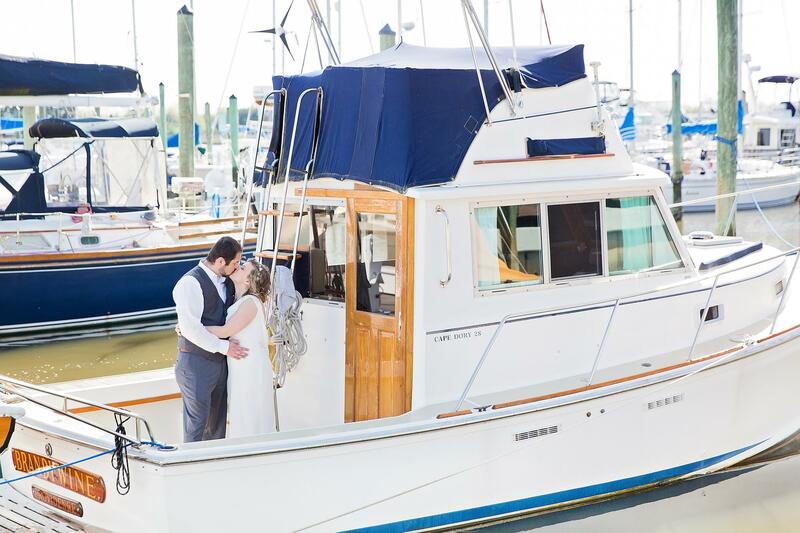 The pier and docks full of romantic wooden boats made for the perfect nautical photo shoot. 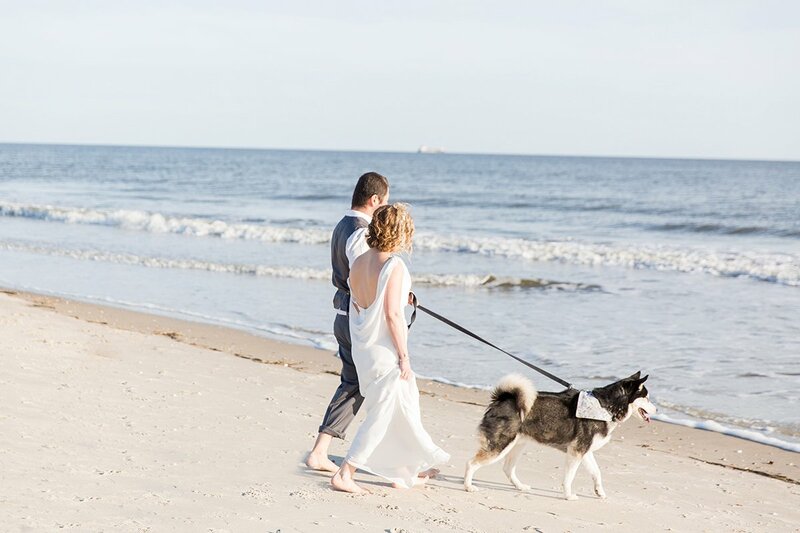 We included a special wedding guest and family member, their beloved pup, Kaizer. Complete with his custom made wedding bandana which made for a special and personal touch. Dipping their toes in the water while giggling and enjoying the moment made me smile big. This day felt like it was on slo mo as we strolled the beach, danced on the docks and visited a local resident that open her home to us for photos. After all this was Easter weekend and we have so much to celebrate all around. The park near the docks perfectly lined with Spanish moss, is such a southern staple. Yes it was a beautiful day! I felt like I was in a dream the whole time and Leah made our special day even dreamier! We splashed like little kids at the dock and had the beach practically to ourselves. I’ll never forget our special moments in time thanks to Leah who captured our moments so beautifully and authentically. Thank you Leah for all of your creative suggestions as it made our photos even more unique and special!